What Else Can They Do With Rock #2? 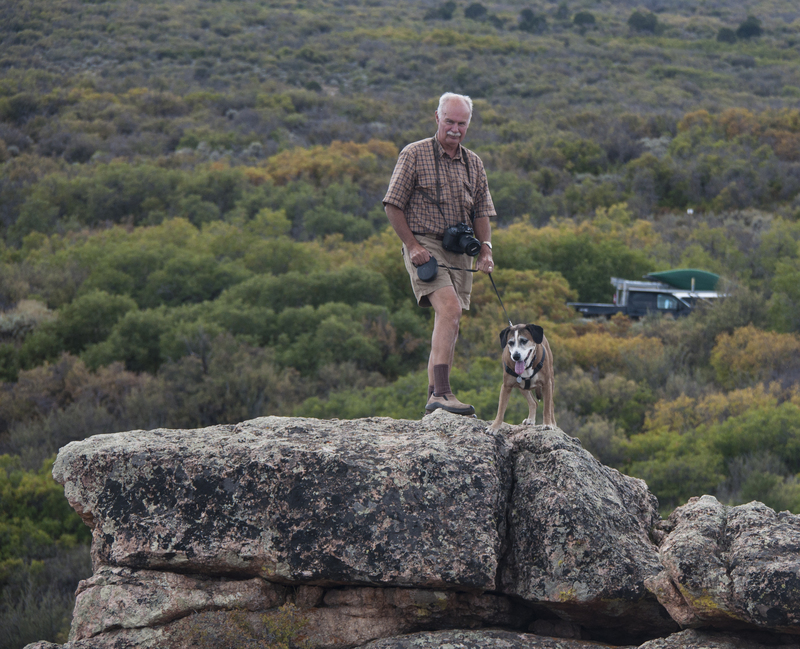 – Black Canyon Of The Gunnison – Homeless and Loving It! Now we move on to Colorado. 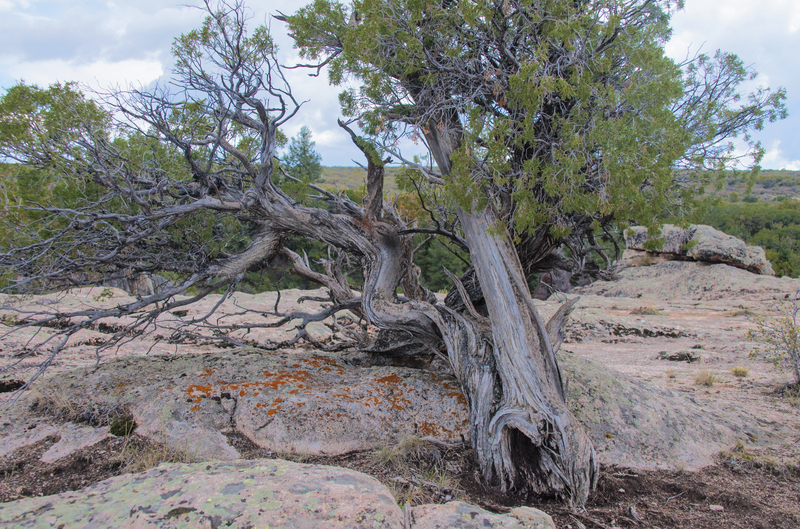 Our original plan was to see both Dinosaur National Monument and the Black Canyon of the Gunnison but we made a last minute change in plans. We’d hold Dinosaur NM for a later trip. 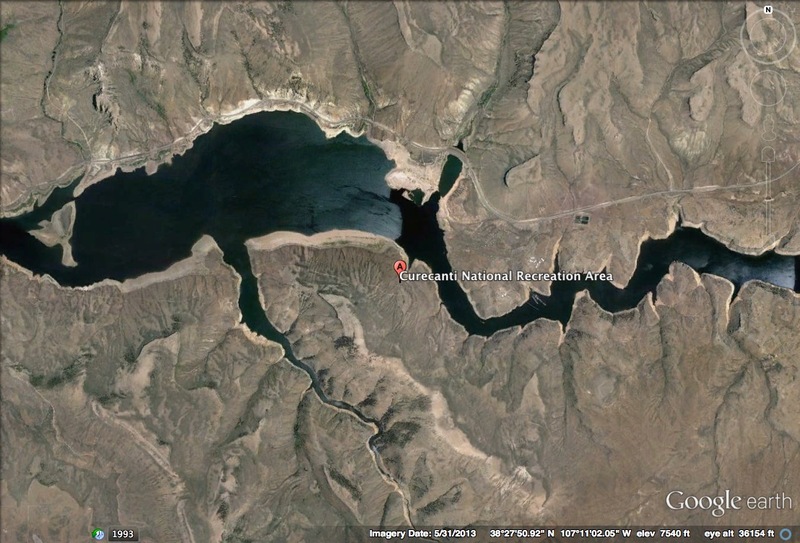 The drive to our campground at Curecanti National Recreation Area would be nine hours. We could make it a one day drive from Salt Lake and get there after dark. We hate setting up in the dark. Plan B would mean an overnight stay at Walmart in Grand Junction and on to Curecanti the next day. We are becoming Walmart people! As in other stays we were not alone. The lot was full of RVs. 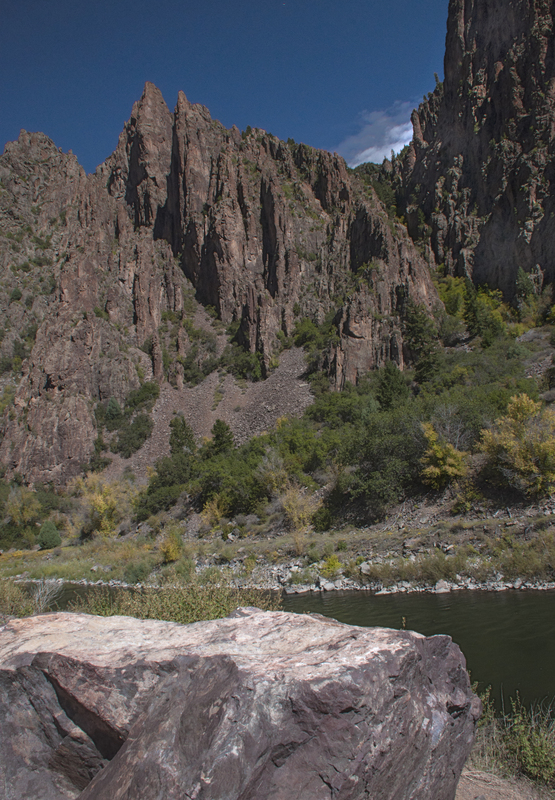 Curecanti National Recreation Area is a National Park site on the Gunnison River with several campgrounds. We stayed at Blue Mesa where we had an electrical hook-up and tank water. At this time of year they have shut down shower rooms so we used our RV and were conservative on water. The campground does not take reservations but this is off season and there were lots of vacancies. We liked the area and hope to return again for some kayaking and fishing. 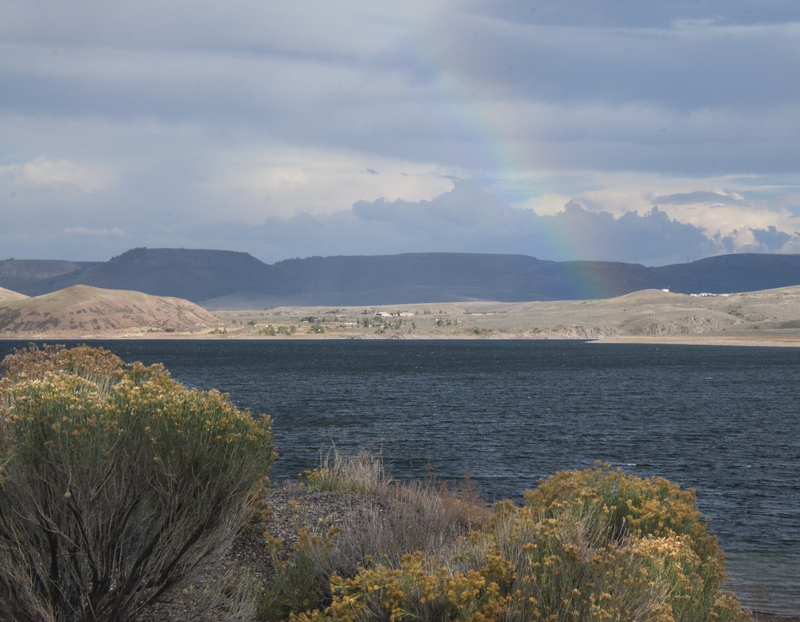 On our last night after a rainy day we were treated to a gorgeous rainbow. 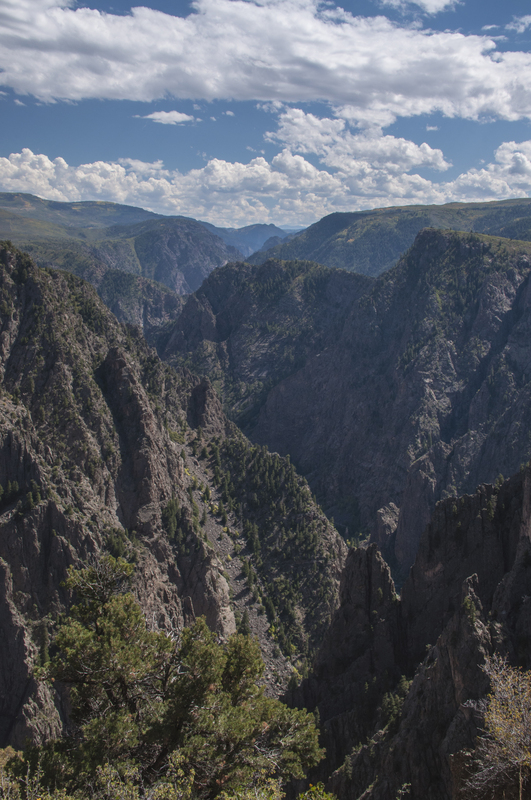 Black Canyon of the Gunnison National Park began like so many of our parks as a national monument in 1933 and became a park in 1999. 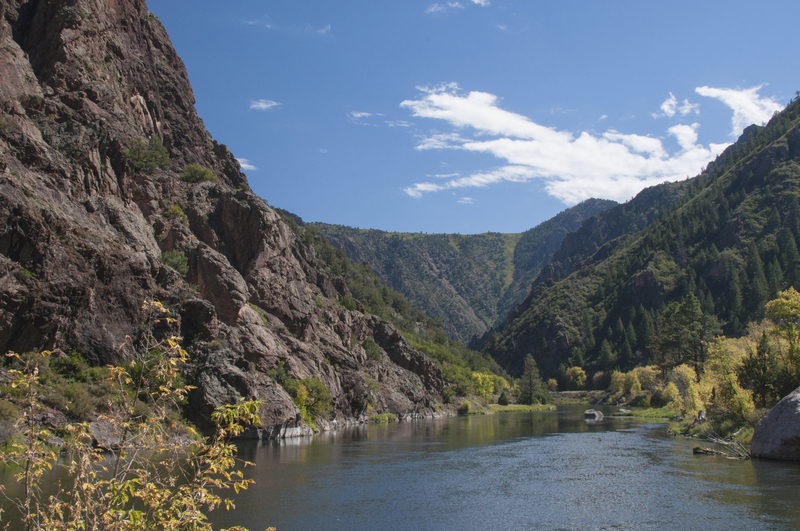 The park contains fourteen miles of canyon out of the forty-eight miles the Gunnison River has cut through the Gunnison Uplift. For years this gorge was considered impassable. 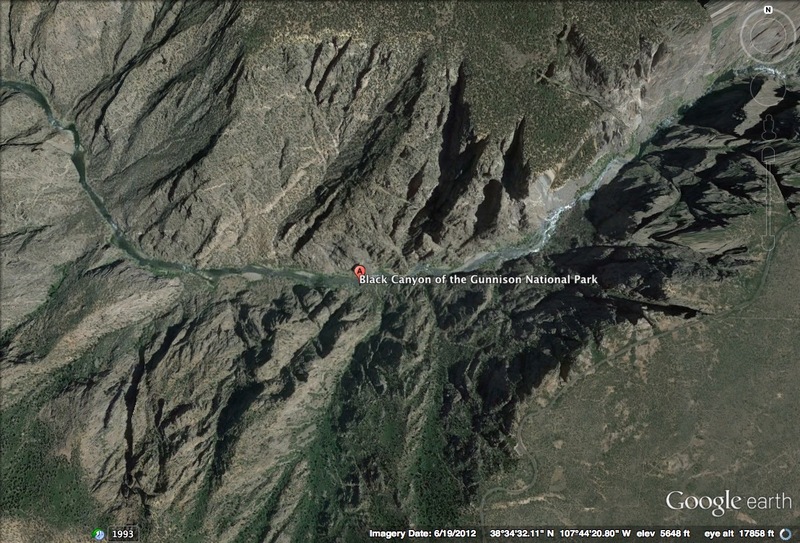 It wasn’t until 1901 when five residents of the nearby Uncompahgre Valley made an exploratory float of the river on a rubber mattress that the canyon was deemed passable. It remains the steepest and narrowest canyon in the NPS. 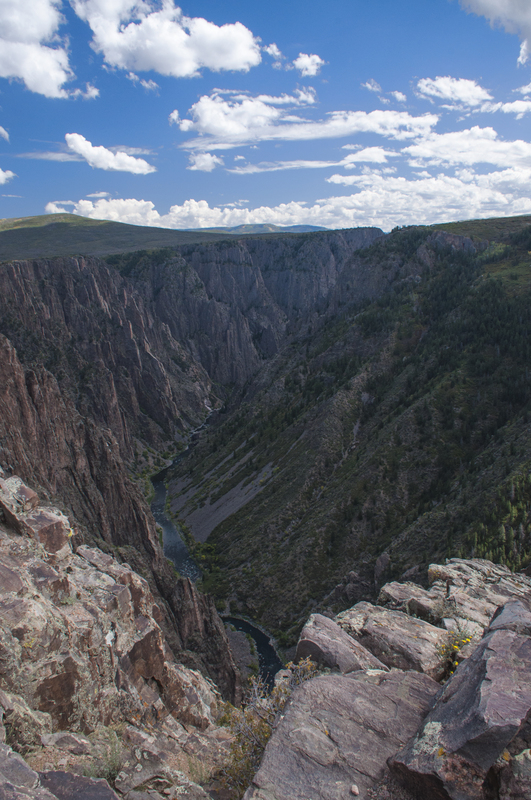 Some facts: 1) In 48 miles the Gunnison River looses more elevation than the entire 1,500 miles of the Mississippi, an average of 96 feet/mile. In one two mile section the river drops 480 feet 2) the narrowest point of the canyon is a mere thirty-eight feet across 3) the deepest point is 2,772 feet, approximately one and a half times the Empire State Building 4) the name Black Canyon was given because there are parts which never receive daylight. 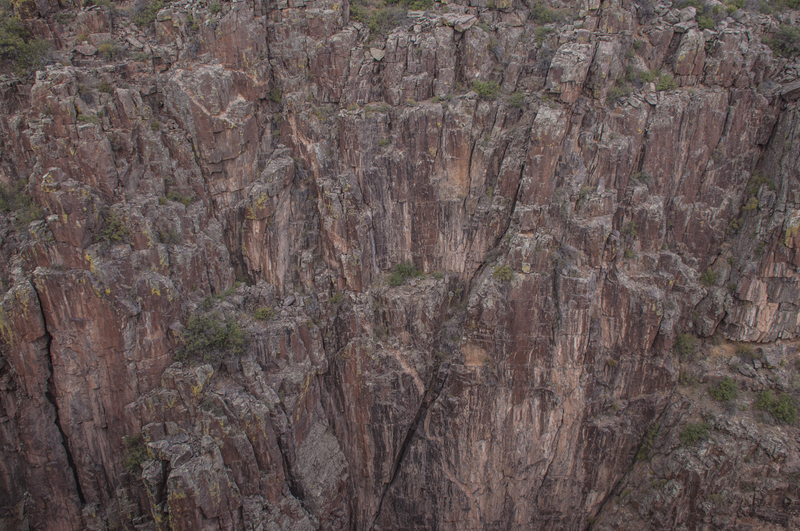 Long overshadowed by destination parks like the Grand Canyon and Yosemite, Black Canyon deserves more attention. This is a place where a picture is worth a thousand words. Because of deep shadows on the canyon walls and bright sunshine it is a very contrasty situation for photography. Sit back and enjoy a few pictures from our time there. As always, to bring pictures to full screen just click on the picture. This entry was posted in activities, blog, campground, canyon/gorge, Colorado, Curecanti, dogs, Federal Interagency Pass, Google Earth, Homeless and Loving It, landscapes, National Park, national park campground, National Park Service, National Recreation Area, pets, Photography, River, RV, Scenic Byway, senior discount, sightseeing, sightseeing, Travel, travel blog, United States, US States and tagged Black Canyon of the Gunnison, blog, campground, camping, canyon, Colorado, Curecanti National Recreation Area, Google Earth, history, homeless and loving it, National Park, nature, outdoors, photography, river, RV, RV living, Sightseeing, travel. Bookmark the permalink. ← We’re Back In Utah! Very neat. I was there for a very short visit so long ago, that I hardly remember anything about it. Now I want to go back and see it for myself. Thanks for the post. 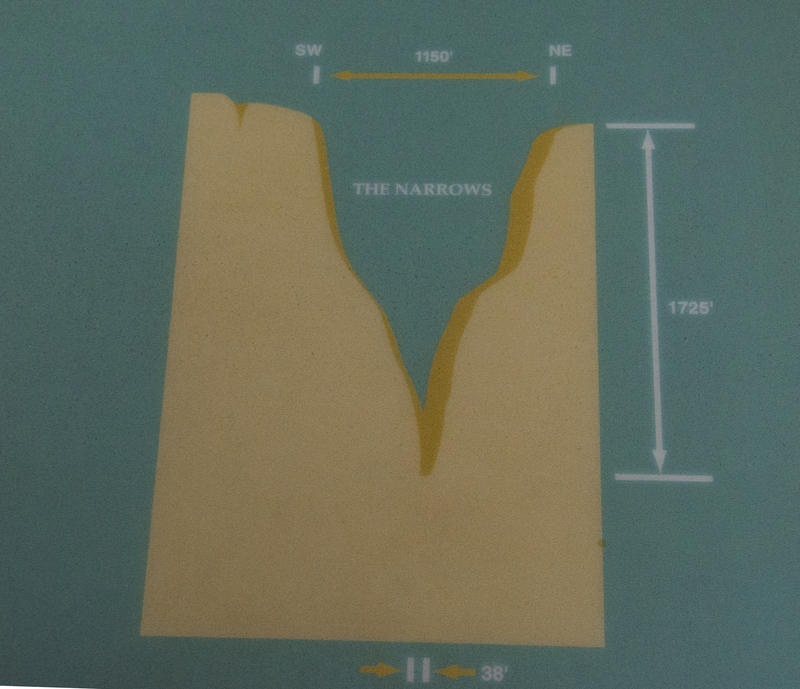 I have a school project and I am using the diagrams of Black Canyon that you posted of the narrows and painted wall. Do you by any chance remember where you got that diagram? Thanks for using our blog. 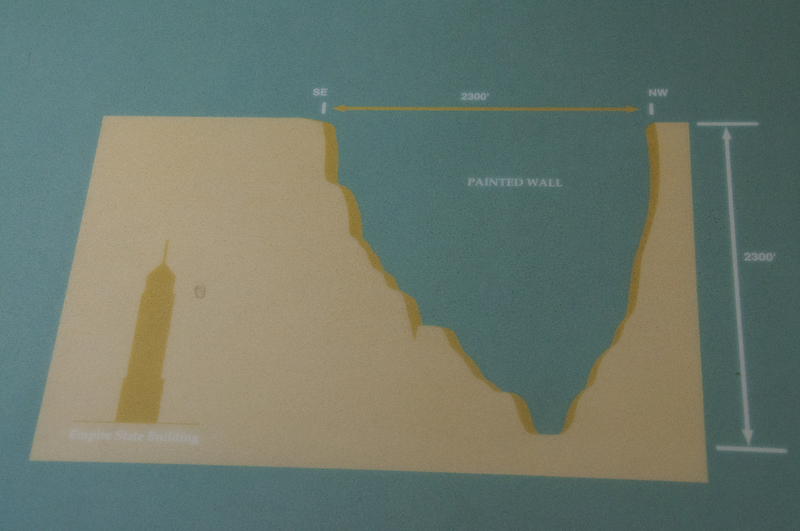 If you are referring to the pictures of the vertical depth of the canyon, I believe they were taken from displays in the Visitor Center. You might call the park to verify that fact. Good luck with your project.